When dreams are realised in milliseconds, Zoom Air—the fastest, most responsive cushioning platform Nike has ever delivered—can change how fast an athlete feels in an instant. The snappy responsiveness of Zoom Air cushioning comes from tightly-stretched tensile fibres woven inside a pressurized Nike Air unit. When the athlete’s foot touches down, the fibres compress to cushion the impact before quickly snapping back to their original state, generating an explosive, powerful response off the ground. The result is a fast, cushioned ride whether the runner is out for a morning run or a marathon personal best. 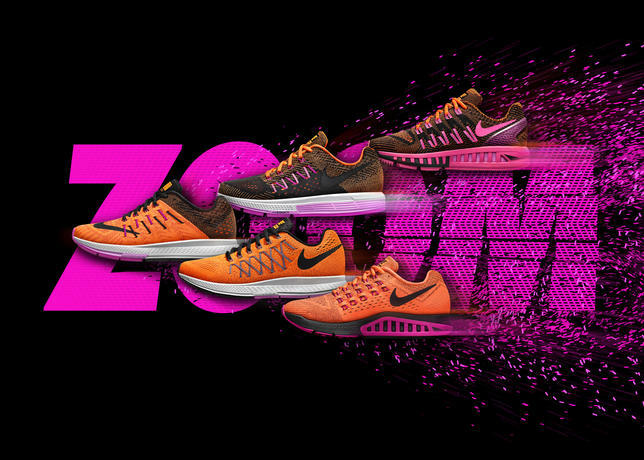 Nike Air Zoom Elite 8: LOW, SLEEK, FAST & LIGHT. 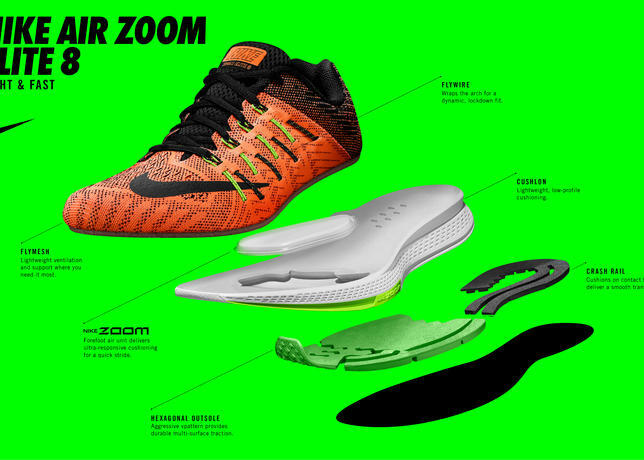 The lightest of the Zoom training family, it’s a minimalist streamlined propulsion device designed for athletes who want to stay fast and light on their feet in training or competition. Forefoot Zoom Air gives runners a snappy response off the road. The lowered offset (eight millimetres) puts runners closer to the ground for more control, and a sleek upper combines Nike Flywire technology, no-sew overlays and lightweight mesh for a supportive, breathable fit. The Nike Air Zoom Elite 8 will be available starting July 2 at www.nike.com . Whether you need sleek and minimal or a more structured ride, whether you want to feel nearly barefoot or surrounded by comfort, you’ll find the Zoom Air ride that will help you feel fast. Nike Air Zoom Pegasus 32: YET ANOTHER REINVENTION OF SPEED. A neutral shoe for training day in and day out, the new version feels faster and more responsive than any model in its impressive lineage. 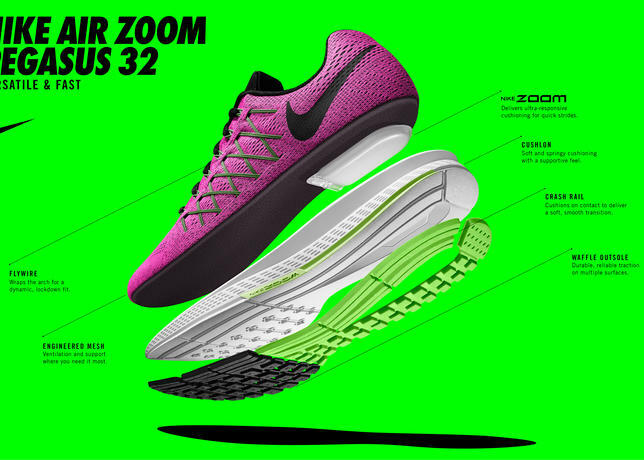 The 32 also retains features loved by loyal Pegasus runners: heel Zoom Air for a cushioned ride, a breathable upper and snug fit – and introduces enhancements like a contoured last for streamlined comfort, dropped offset (10 millimetres) for a more natural stance and an engineered midfoot saddle for targeted structure and support. The Nike Air Zoom Pegasus 32 is available now at nike.com. Nike Air Zoom Odyssey: SPEED + DISTANCE IN LOCKED DOWN COMFORT. The world’s fastest need this much lockdown for a stable feeling at incredible rates of speed. New Flywire technology and dual-injected heel clip enhance heel lockdown, while the flexible outsole and Ortholite sock liner cushion and guide the foot. Mix that with the most Zoom Air cushioning you can get and you’ve got uncompromising cushioning and comfort for a shoe designed for faster. The Nike Air Zoom Odyssey will be available starting August 4 at www.nike.com. Nike Air Zoom Structure 19: LOADED AND LIGHT. A stability running shoe for everyday training, the latest Structure feels faster, looks great and is built to slow the rate of pronation. The shoe delivers a smooth transition through stability features such as Dynamic Fit technology, which work with the outsole’s lateral crash rail and a triple-density foam Dynamic Support stability system. Together this stabilizes the foot onto the platform and reduces the speed at which the foot starts to roll in. The new contoured last provides added toe spring and combines with Zoom Air cushioning to give the snappy, quick-off-the ground feel. The Nike Air Zoom Structure will be available starting October 1 at www.nike.com. Nike Air Zoom Vomero 10: SPEED MEETS LUXURY. The epitome of a superior, neutral running shoe, the Nike Air Zoom Vomero 10 is the kind of shoe feet crave when on a long run. 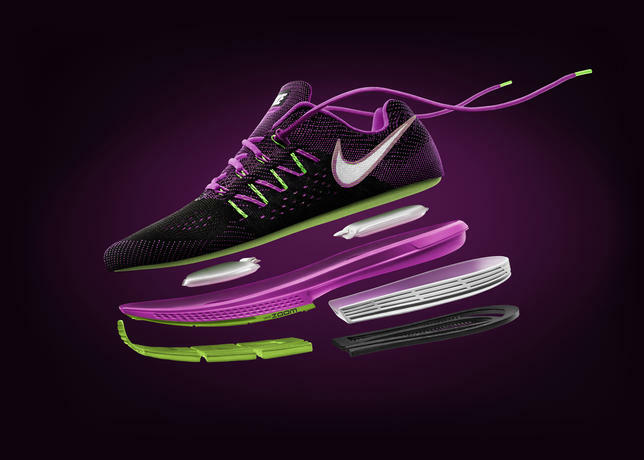 The shoe combines ultra-responsive Zoom Air and soft Lunarlon foam providing a cushioned but fast feel. The Flymesh upper provides smooth, breathable comfort with support where you need it most, and minimized Zoom Air units deliver optimal cushioning and response so heel-strike and forefoot lift-off are as comfortable and dynamic as possible. Nike Air Zoom Vomero 10 is available now at www.nike.com. 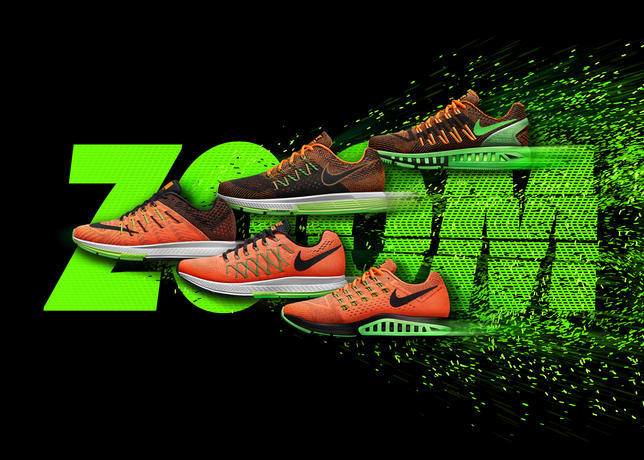 What do you think of the Nike Zoom Air collection? Let us know in the comments section below or on our Twitter and Facebook pages. Football boot release: Under Armour launch custom Speedform for Netherlands star Memphis Depay!